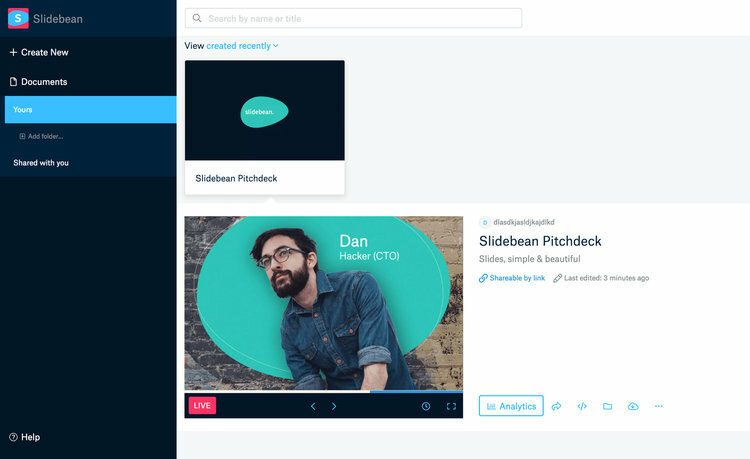 For the past few years, our Product Team has been fully dedicated to developing a presentation builder. The idea has always been to simplify the process of creating a presentation, and removing the hassle of making your slides look good. 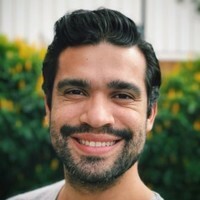 But during that time we discovered we’ve been overlooking a whole different need: what happens when you already have a finished presentation created elsewhere and you simply want to share it online? 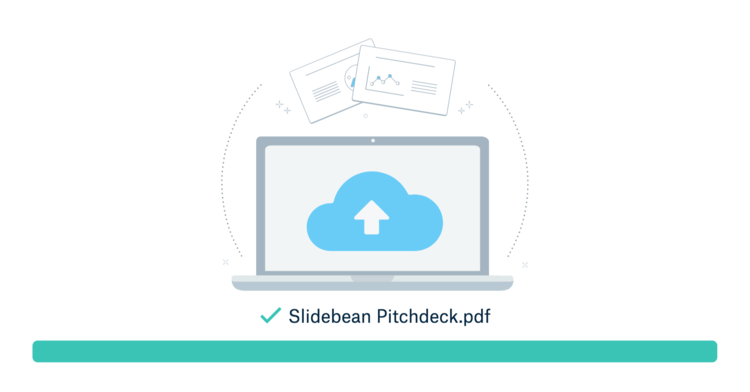 Some users who love the tool pointed out they would like to upload some of their old decks to Slidebean, in order to take advantage of our Analytics feature and track activity on these documents. 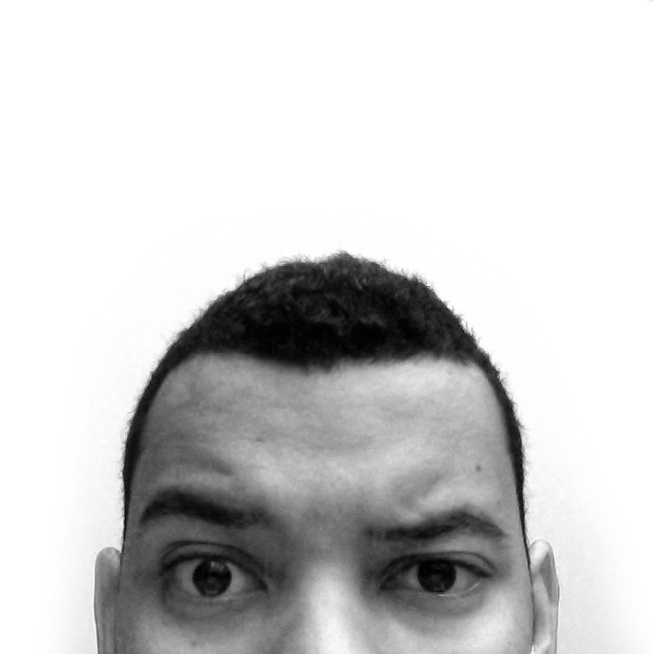 The tool wasn’t optimized to cover this need of online file hosting, so to speak. Up until now, that is. 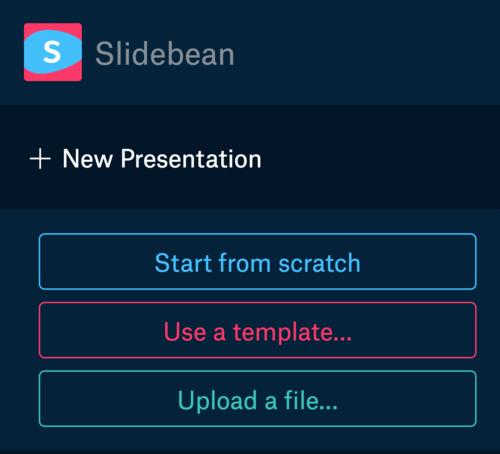 We’re rolling out an experimental solution that lets you seamlessly upload a presentation into your Slidebean account! Bonus track: you can now jump directly into the template gallery or the presentation editor, depending on your needs. All you have to do is drag and drop the file you want to upload. Optimal results are achieved using PDF files. We’re also experimenting with PPT uploads but we don’t recommend them just now since the outcome might have visual differences with the original file. 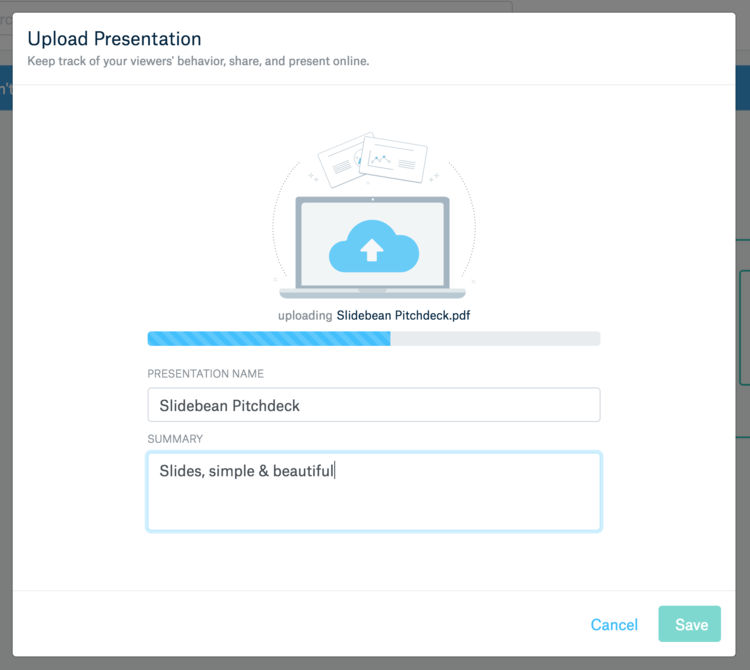 If you have your presentation in PPT format, you can choose to save it as PDF first, and proceed with the upload afterwards. 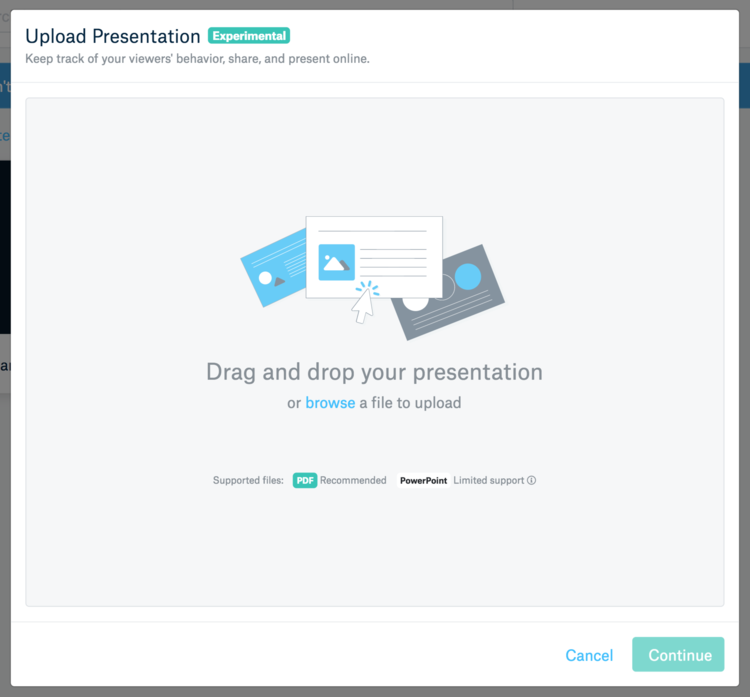 While your file is uploading you can add a presentation name and summary. After the upload is complete, you get a confirmation message. Hit “Save” and you’re done! Your uploaded file will show up on your dashboard. 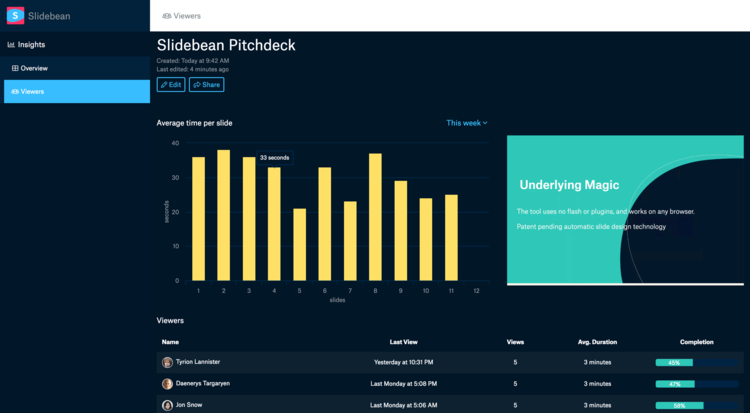 Once you share your presentation, you can visit your Analytics page to view valuable insights on user interactions with your slides. From the date and number of individual visits, to the time they spent on each slide and the average completion rate. We’re super excited to finally let you test this new feature. Hope you can bring onboard some of your old presentations. Old dog, new tricks!